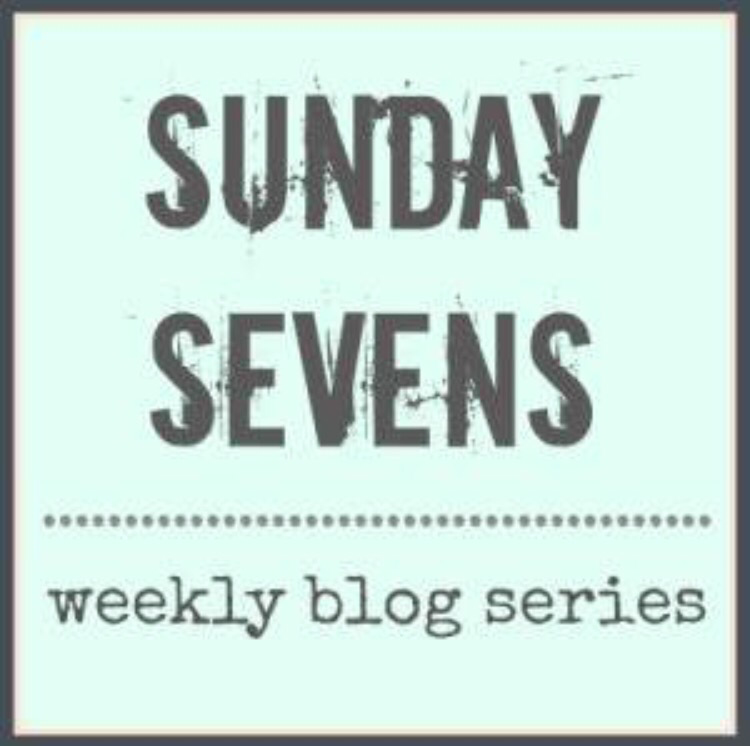 Apologies if this is a little samey as last week’s post but I fear, dear reader, that my love of routine will be a theme with my Sunday Sevens posts. My weeks are a little predictable with kids and school and everything that goes on around here. Predictability is good though in my opinion, as without routine, I may lose my marbles! 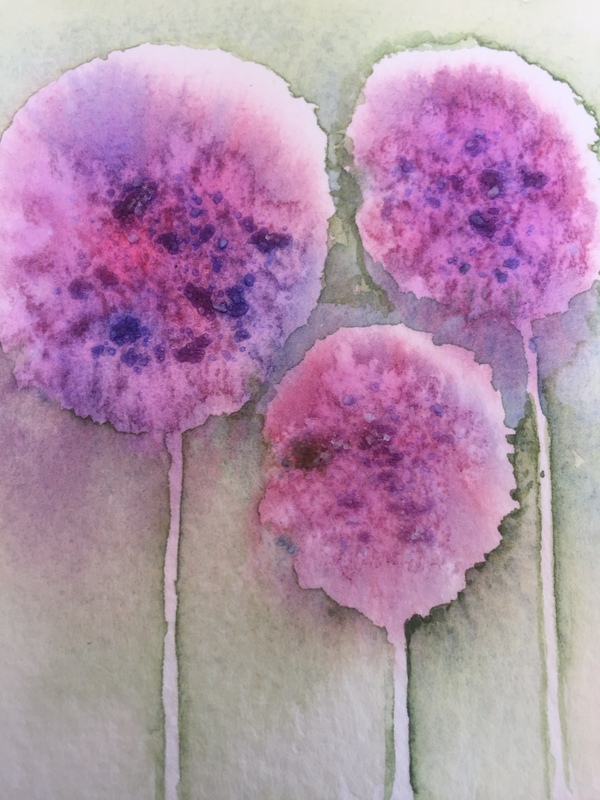 This week we continued our theme of practicing painting flowers, I only finished a couple of small pictures this week and both were of alliums. I normally like to paint more precisely when doing flowers but was persuaded to be a bit more experimental this week letting the colours run and leaving negative space for the stems rather than painting them in. I’m not sure about the background colour on this one, and the flower heads aren’t exactly spherical as they should be but it was fun to be a bit freer and experiment a bit. Wednesday morning meant most of Gibraltar woke to a very gloomy wet day and no electricity. Power cuts seem to be a regular fixture these days unfortunately. Gibraltar generates all its own power by burning oil at a handful of power stations. Over the past few years old age and a large fire in one have restricted the capacity the electricity board has for generating electricity. Political wrangling has delayed the building of a new gas-powered power station. Gibraltar is in the Med, it has a lot of sunshine, it is surrounded on almost all sides by the sea, it is also close to the Atlantic Ocean and all the wind that it cares to send this way. Why then, do we not harness these amazing natural resources and generate our electricity this way? Surely Gibraltar could be a world leader in green energy with all these resources, but instead we burn oil and are planning to burn gas as our next method of generating power. But what do I know? In the meantime we are left with rather annoying and at times, rather long power cuts. This one lasted five hours. 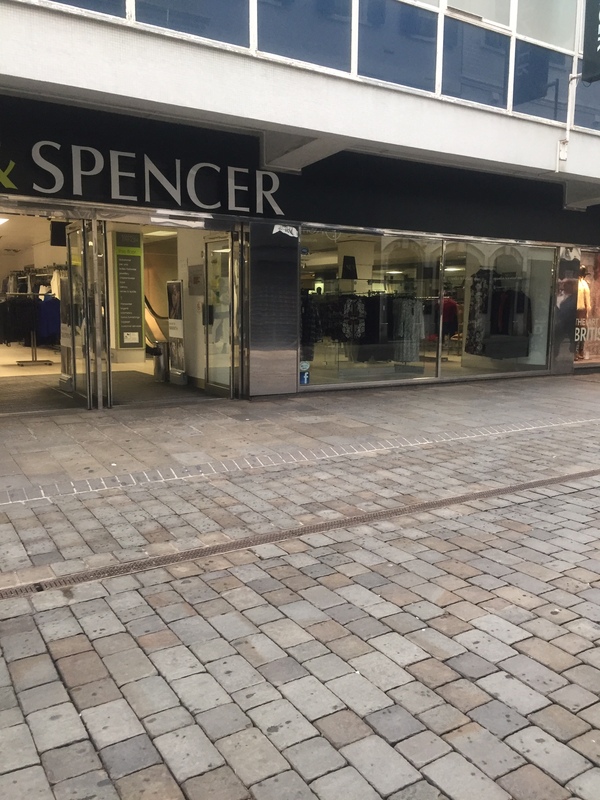 Thank goodness Marks & Spencer had a back-up generator so my morning coffee could be replaced with a croissant and fizzy energy drink. Walking along Main Street that morning was like being on the set of a zombie movie as people trudged slowly and miserably to work and school with bleary eyes. Obviously it wasn’t just me suffering from a lack of caffeine! If you have seen my last post you will know that I had a rather lovely walk up the Mediterranean Steps this week. 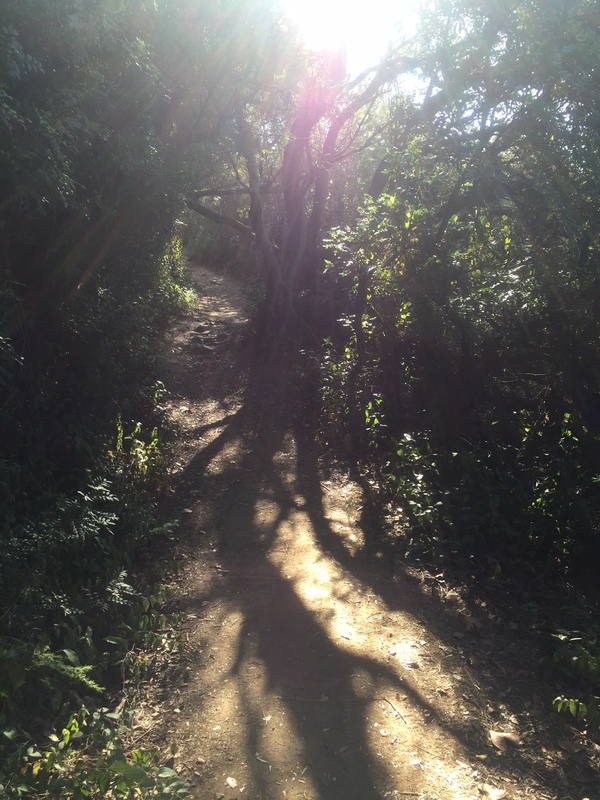 It was stunning, hot and I’m still aching a bit but I really enjoyed having a bit of time to myself and being able to take in all the tranquility and beauty the Upper Rock Nature Reserve has to offer. 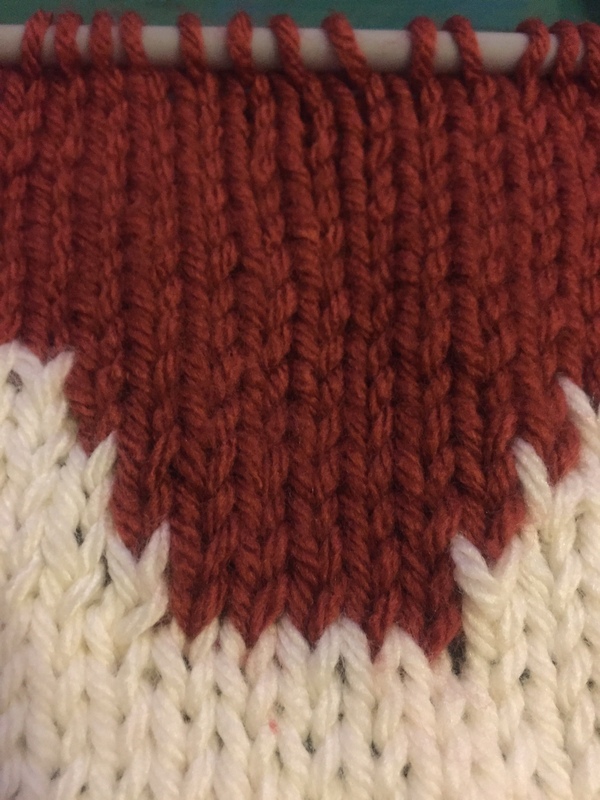 My knitting has continued and developed from last week, from green to rust and cream intarsia. This was my first attempt at the method. For those of you who have no idea what I’m on about, it’s a method you can use when changing colours several times in the one row. 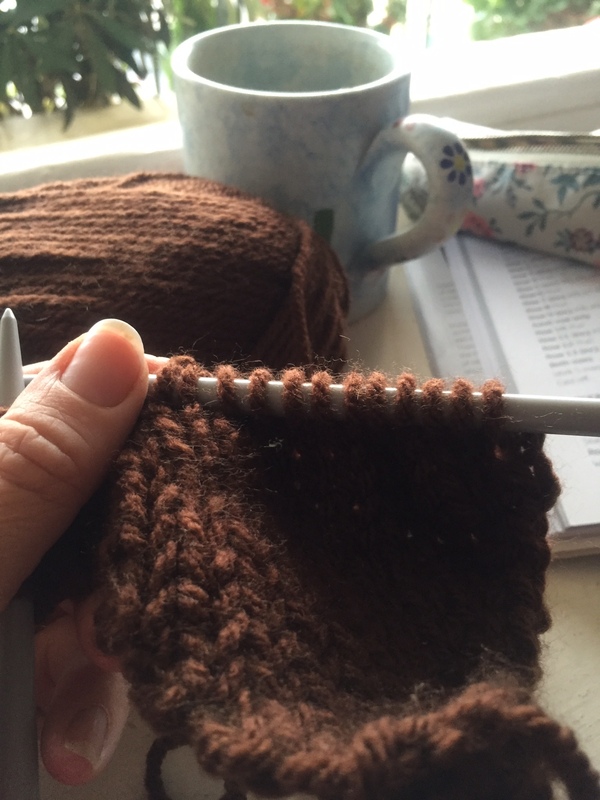 Instead of stretching the yarn you are not using across the back of the work and reintroducing it later (which can make your finished piece look bumpy and out of shape) you use several smaller balls of wool with a separate length of yarn for each part of the pattern. Have I lost you yet?! Anyway, it means lots of little bits of dangly wool which can get very easily tangled, especially when you are interrupted many times in the process. Not sure it’s something I’ll attempt again in a hurry, but it’s a lot neater than the alternative. Back in September two new schools opened their doors to pupils for the first time in Gibraltar, St Bernard’s First & Middle Schools. Yesterday they had an open day when the public was able to go in and have a snoop about. They are really amazing. This photo is of the atrium of the Middle School, the class rooms lead off each floor to the sides and to the front the library and art room have the most amazing views out across town and into the bay. 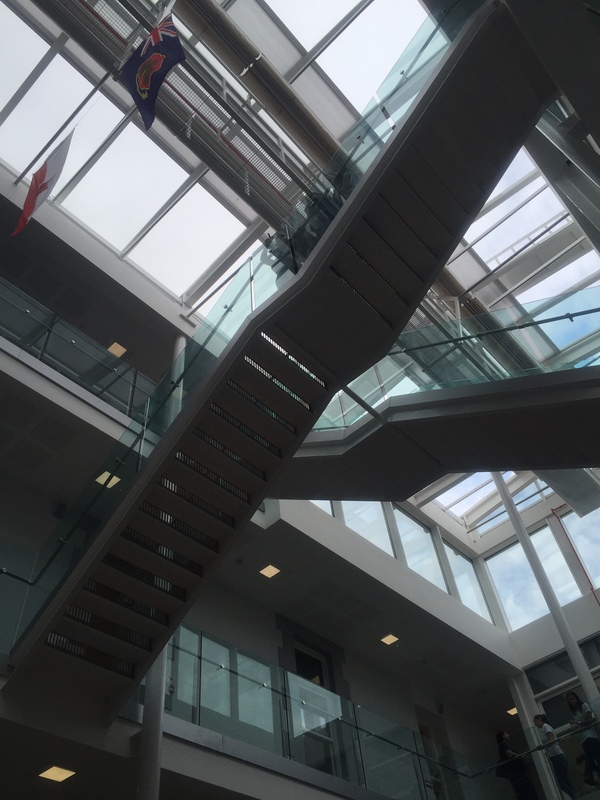 The glass roof above opens and closes to allow for natural ventilation. The schools have been built in the old St Bernard’s Hospital building which has lain empty for several years since it moved to new premises down beside Morrisons. I was pleased to see that some of the original features were kept during the renovation work like archways, the staircases and a lot of the facade of the building. What an inspiring place to be able to go to school! Mr Postcard has gone on football duty this morning so I have a few minutes peace and quiet to myself. Happy Sunday everyone! 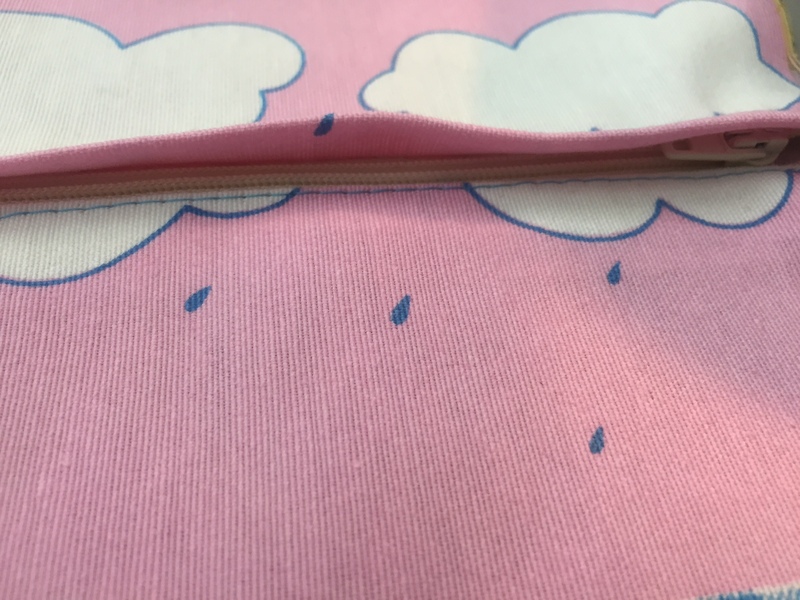 Next > Rain, rain go away! I didn’t know about the new schools! Amazing. I must limp up that way and take a looky. Not sure about the knitting, I was always quite happy running the wool across the back. Must post a pic of my favourite pullover ever. Zips? Pfft. Easy! But cutting out? I always had my heart in my mouth. To me, that’s the hardest part of the job, one wrong cut and … you can’t repair a wrong cut, you can always undo and restitch. They are stunning and really worth a trip up the hill to. I’d love to see a pic of your jumper. I’m afraid I struggle with the tension a bit and running the yarn across the back usually ends in disaster for me. This new method looked neater in the end but was a tangled mess in the process at times! As for cutting out – I’m totally with you on that score – one wrong snip and you’re in trouble! I keep meaning to take photos of a couple of suits I made too. My favourite was a Claude Montana pattern (I used Vogue Designer patterns) with an asymmetrical jacket, totally interfaced for structure, and over stitched seams for design. I made another jacket, can’t remember the designer, but it had a zillion buttons on the back. Trouble was I paid a fortune for the buttons, and should have paid more for the fabric, it was too light. I’ve still got an unfinished jacket too kicking around, never got round to adding the arms, nice fabric too, sort of soft red and white houndstooth type. I’ve lost the appetite I guess.